Sunday, October 10, was a hot, sunny day, just ripe for a day of action and learning. 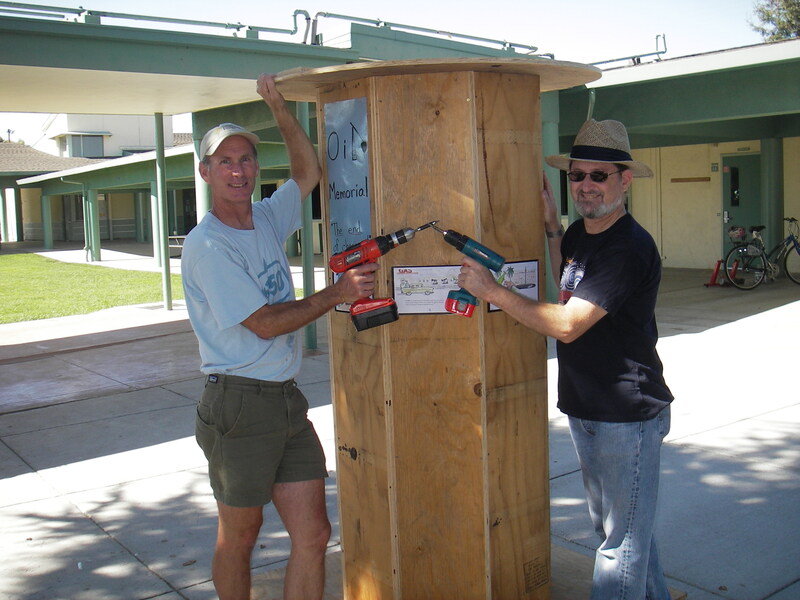 We started off by setting up tables and signs at El Carmelo School, and then David Coale (left) assembled his work of art, The Oil Memorial, with assistance from Paul Heft (right). At 1pm, the volunteers had arrived and the families started coming in. – Gerry Gras displayed his 100,000-mile bike and signed kids up for the pledge to walk or bike to school, next to the amazing Energy Bike which could light up an incandescent or (much more easily!) a CFL bulb. 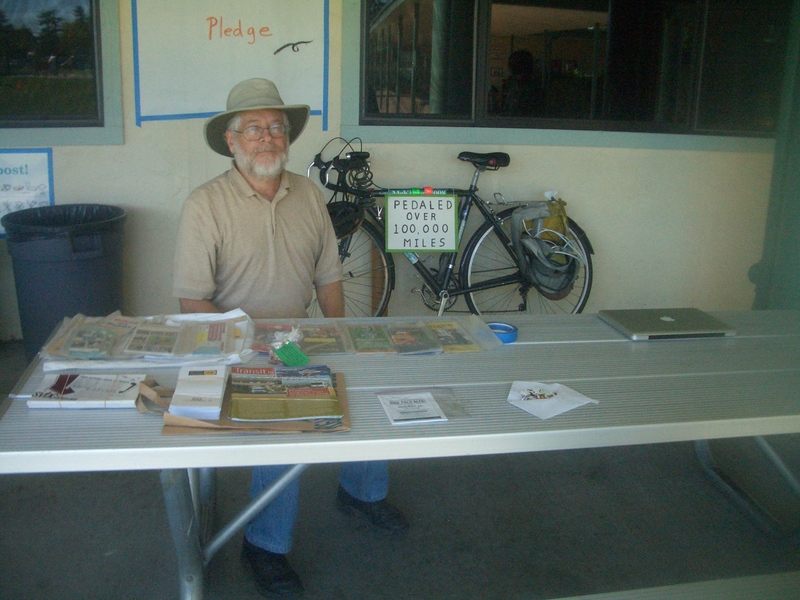 – Burt and Margie Liebert helped Michael Ruescher at the Art table, where kids drew and envisioned a future without oil. 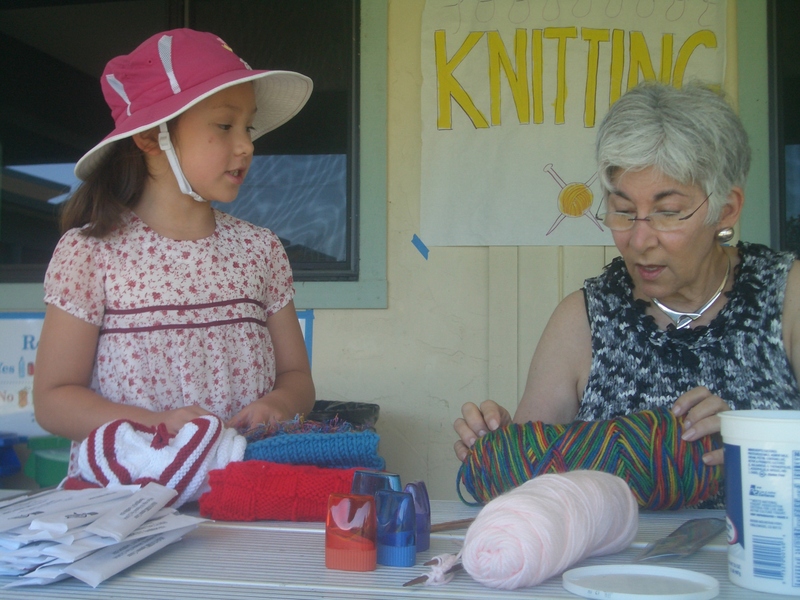 – Susan Moskowitz (right), Lourdes Ventura and Rani Jayakumar taught kids as young as 7 to knit for the first time, some on chopstick needles. 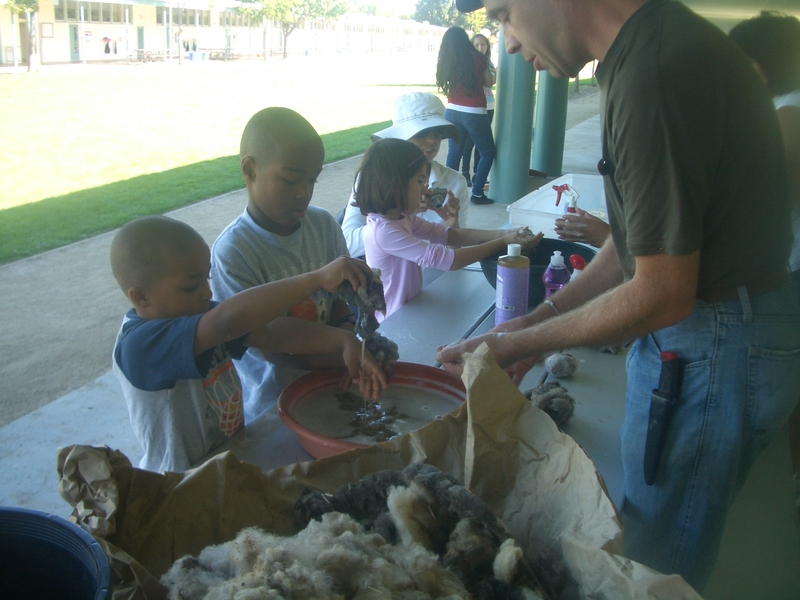 – William Mutch (right) and Lourdes Ventura let young ones play with soap and water and sheep’s wool to make felt. 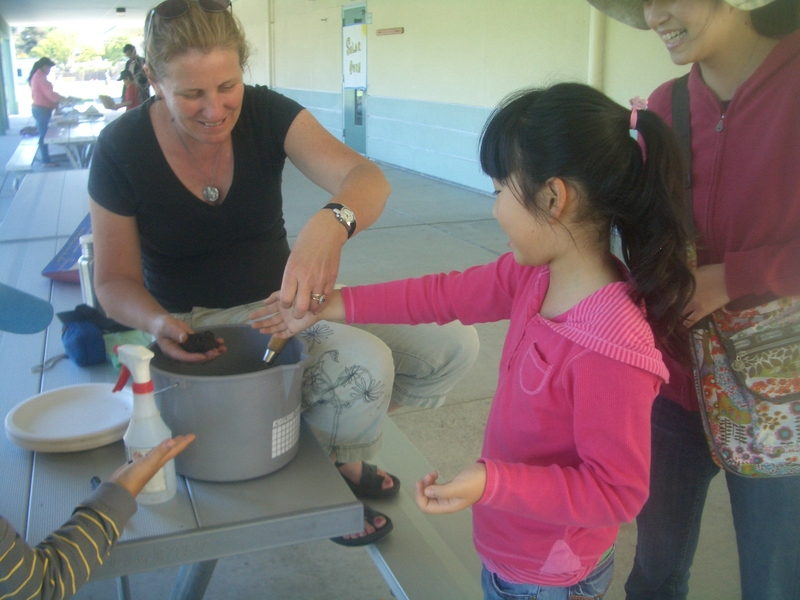 – Peggy Prendergast (left) taught about the types of compost and planting, and each child planted a vegetable seed in a milk cartons to take home. – Susan Stansbury (left) and Paul Heft showed how to compost using worms, and how to feed and “raise” them with newspaper and food scraps. 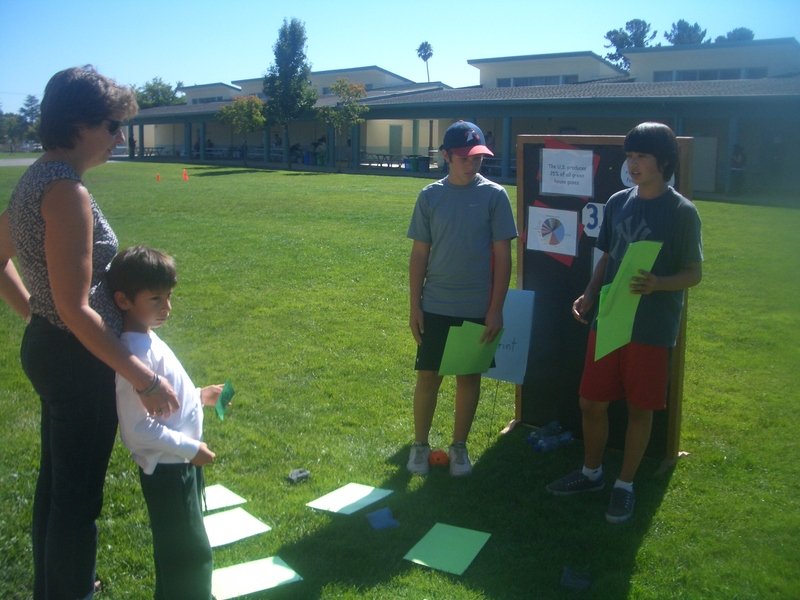 – Kids and adults measured how much carbon they could save with the Greenhouse Gas and Carbon Footprint Games. 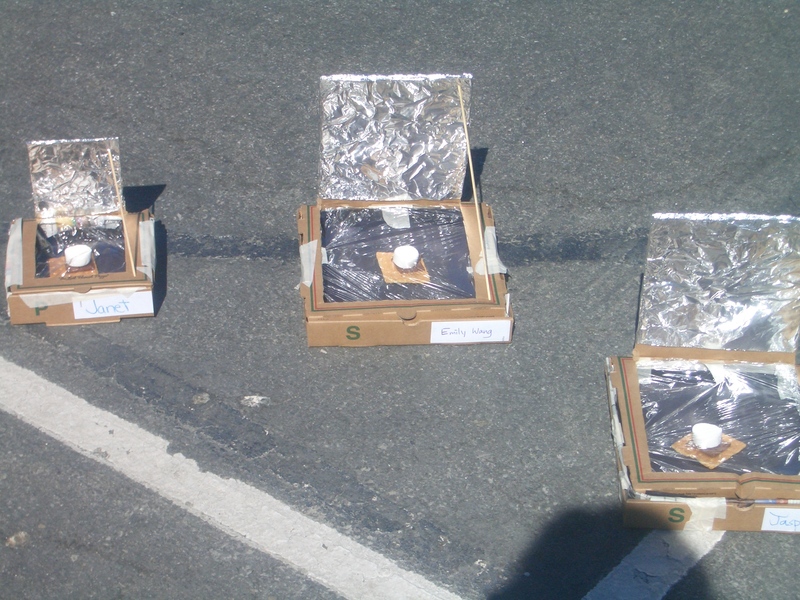 – Annette Isaacson coordinated kids building solar ovens made out of pizza boxes, to make s’mores, while Sailesh Rao demo’d his high-heat solar oven. 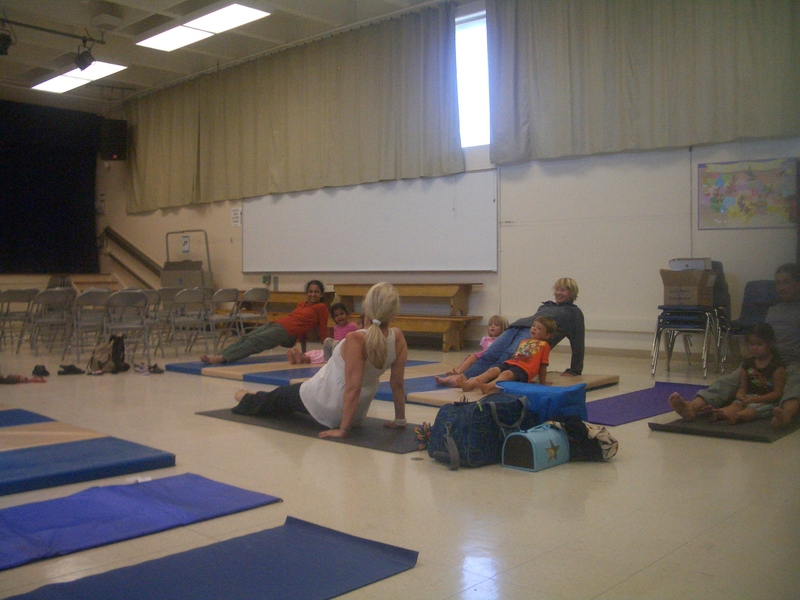 – Linda Adleson taught families yoga that helps you learn about cutting carbon and gets you in tune with your body. 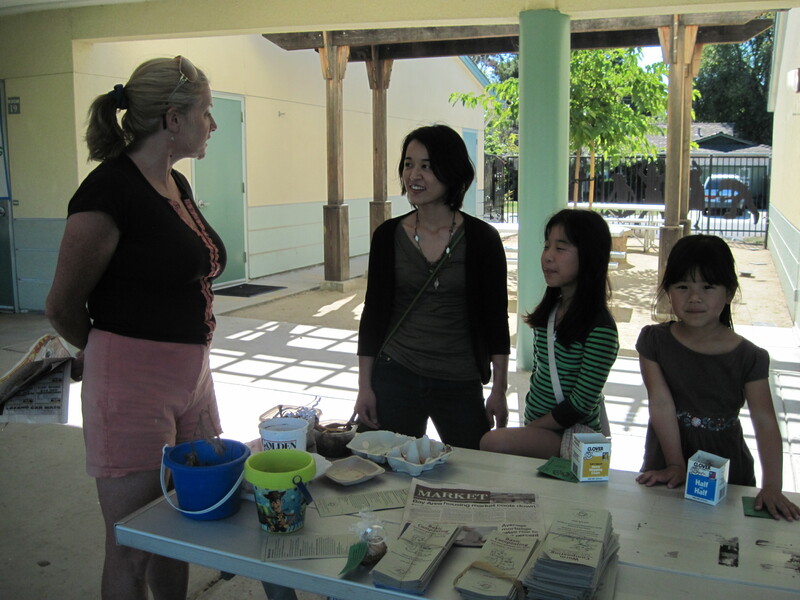 – Annette Isaacson (right) distributed copies of her very own Peak Oil coloring book and read it to the children. – Everyone gathered to hear Axel Clavier (trained by Al Gore as an Inconvenient Youth) present a slide show on climate change. 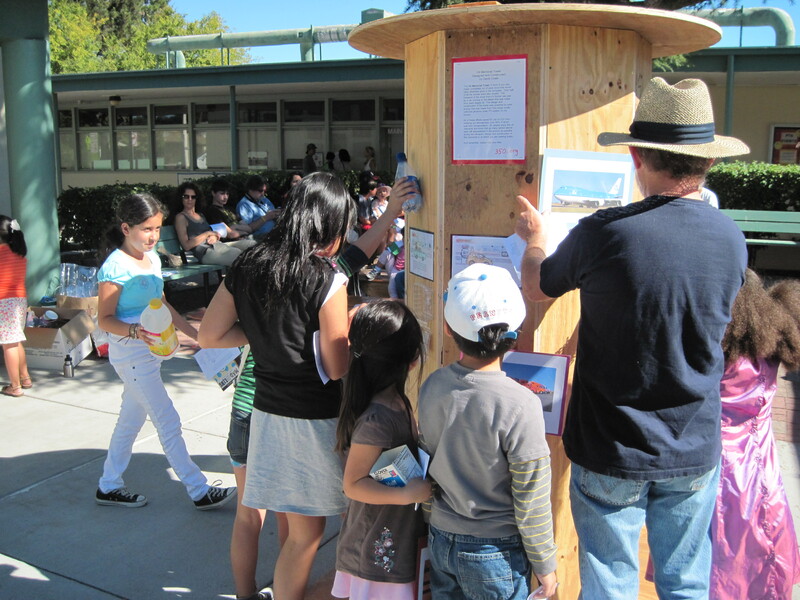 – Children gathered at the oil tower to attach to it things “made of oil” – turning it into the Oil Memorial! 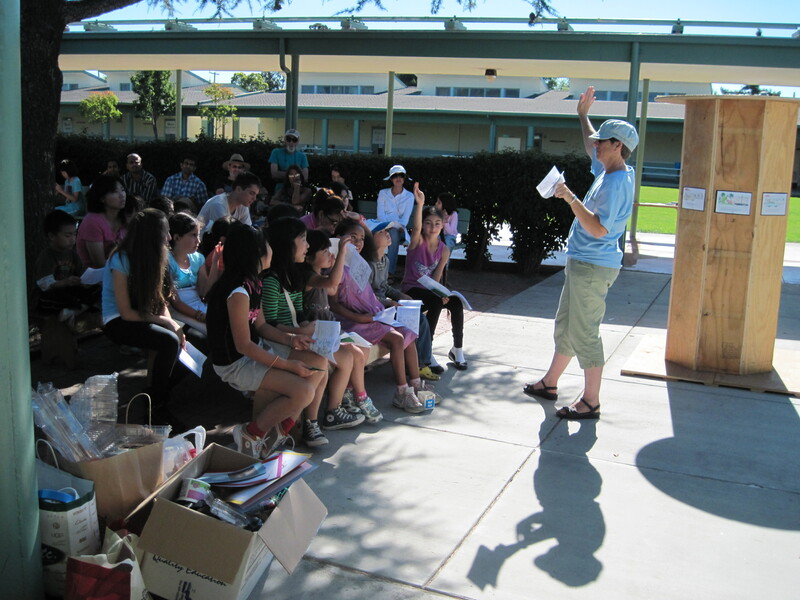 Everyone got their passports and prizes and (we hope) had a great time cutting their carbon footprints. More photos here and original 350.org page here. Thanks to all who attended and to all the volunteers for their hard work and talent! We look forward to 11/11/11! This entry was posted in Events, Kids, Local by promiserani. Bookmark the permalink.